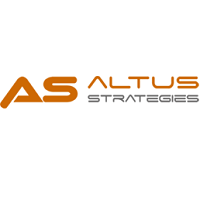 Altus Strategies Plc (LON: ALS & TSX-V: ALTS), the Africa focused exploration project generator, announced today that it has defined a series of drill targets to test the potential of expanding the Diba gold project. Diba is strategically located 13km south of the multi-million ounce Sadiola gold mine in the world renowned ‘Kenieba Window’ gold belt in the west of the Republic of Mali. · Location of the Diba project in western Mali is shown in Figure 1. · Satellite view illustrating Diba’s proximity to Sadiola is shown in Figure 2. · A schematic cross section through the Diba project is shown in Figure 3. · A map highlighting drill results which post-date the 2013 historic resource is shown in Figure 4. · A map of the soil auger anomaly in the target area is shown in Figure 5. · A map of the Diba Northwest and Diba East Prospects is shown in Figure 6. · A selection of Diba photos is shown in Figure 7.